The world’s No. 1 social network said on Thursday it has hired aerospace and communications experts from NASA’s Jet Propulsion Lab and its Ames Research Center for the new “Connectivity Lab” project. “Today, we’re sharing some details of the work Facebook’s Connectivity Lab is doing to build drones, satellites and lasers to deliver the internet to everyone,” Facebook Chief Executive Mark Zuckerbergsaid in a post on Facebook. He gave few specifics and did not specify a time frame. The move extends the social networking company’s Internet.org effort, aimed at connecting billions of people who do not currently have Internet access in places such as Africa and Asia. 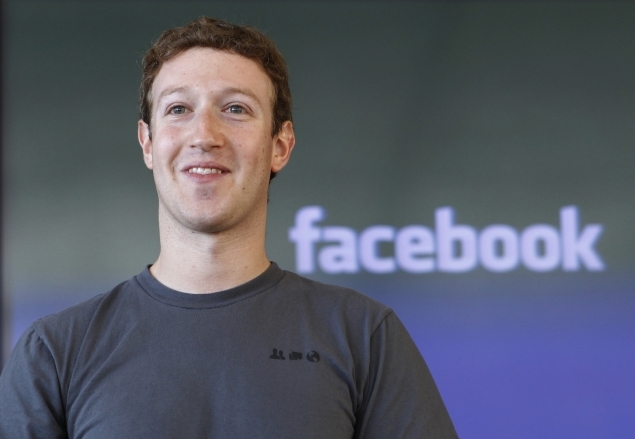 Facebook has been working with telecommunications carriers to make Internet access more available and affordable. “We’re going to continue building these partnerships, but connecting the whole world will require inventing new technology too,” Zuckerberg said in his post. Facebook envisions a fleet of solar-powered drones as well as low-earth orbit and geosynchronous satellites delivering Internet access to different regions of the world. Invisible, infrared laser beams could allow Facebook to dramatically boost the speed of the Internet connections provided by the various aircraft, Facebook said on a Web page that explaining the project. Facebook’s plans to take to the skies underscore the company’s rising ambitions to exert its influence beyond the confines of its 1.2 billion-member social network and to set the pace for new technology that will shape society. On Tuesday, Facebook announced plans to acquire Oculus VR Inc, a maker of virtual reality goggles that Facebook hopes could become the computing platform of the future. Facebook is following in the steps of Google Inc, the world’s largest Internet search engine, whose Google X division is working on a variety of so-called “moonshot” projects including self-driving cars and wearable computers. Google announced plans last year to use solar-powered balloons to deliver Internet access to remote regions of the world. Among the jobs openings posted on Facebook’s website on Thursday were roles such as Antenna Systems Engineer and Electro-Optical Network Access Hardware Engineer. Facebook also said it had hired a five-member team that worked at Ascenta, a British company whose founders created early versions of the Zephyr, which Facebook said held the record for the longest-flying solar-powered unmanned aircraft. Shares of Facebook were up 28 cents, or less than 1 percent, at $61.25 in after-hours trading on Thursday.